In order to meet the growing demand for sustainable lighting, Technology Foundation STW and Philips have taken the initiative to form the ‘Advanced Sustainable Lighting Solutions’ partnership. With eight recently approved research project proposals, the program is now officially launched. The aim of these projects is to develop innovative, efficient lighting that will also be available for new applications. The five-year program has had the sum of three million euros allocated to it: each of the partners will pay half. The initial results are expected in 2014. Global lighting consumption continues to increase: partly due to the shift to a 24-hour economy, by about 2050 worldwide lighting consumption is expected to be almost three times higher than it is now. 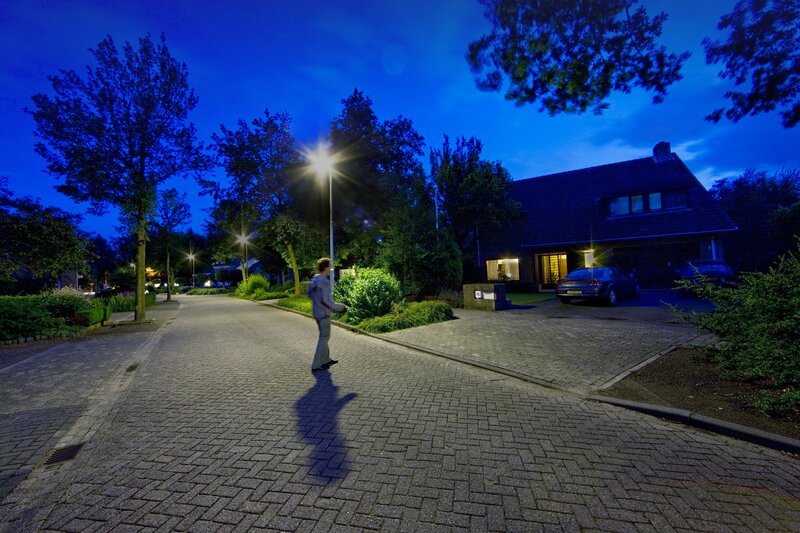 More energy-efficient lighting methods therefore need to be explored. The “Advanced Sustainable Lighting Solutions” partnership is looking for high-efficiency, attractive and affordable lighting that is also developed in a responsible way. Such lighting systems can contribute to solutions for social challenges in a variety of areas such as food production, health and well-being. A call for proposals sent out to universities resulted in no fewer than 44 entries. After being evaluated by a committee of experts, eight projects were approved, which can be divided into two categories. Five projects are related to the exploration of new materials, the improvement of efficiency and the optimization of sustainable production of LEDs. The three remaining projects will examine how LED lighting can be used for health and energy savings, more efficient algae growth for biomass production and improved fruit quality. “Advanced Sustainable Lighting Solutions” (ASLS) is one of the currently seven partnership programs of Technology Foundation STW for making Dutch science accessible with regard to specific questions from industry. The research projects in ASLS are to be conducted in the Netherlands, partly at universities, partly at Philips Research. “Multi-megahertz switched-capacitator integrated LED drivers (Mega-LED)”, Dr Eugenio Cantatore, Mixed-Signal Microelectronics Section, Electrical Engineering Department, Eindhoven University of Technology. LED drivers regulate the power supply to the array of LEDs that forms the lighting source. The objective of the project is to develop LED drivers on which all the necessary components are integrated, make external components as small as possible and the stabilize the power supply so that even powerful 100W lamps may be possible. “Exploring direct-bandgap AlGaP nanowires for direct white emission sources (Green NanoLED)”, Dr Jos Haverkort, Photonics and Semiconductor Nanophysics Section, Applied Physics Department, Eindhoven University of Technology. The objective is to develop aluminum gallium phosphide (AlGaP) nanowires with a direct band gap, and hence high optical quality, and to demonstrate this by means of a green LED. This development aims to contribute to the development of white LED light without the need to use phosphor and of LEDs that can be set in RGB colors. “Cadmium-free all-inorganic quantum dots as down-conversion LED phosphors (CadFrinDot)”, Dr Arjan Houtepen, Opto-Electronic Materials Section, Chemical Engineering Department, Delft University of Technology. Colloidal quantum dots are regarded as ideal candidates to replace today’s (red) phosphors in LEDs as they can considerably increase LEDs’ efficiency. Existing quantum dot phosphors have disadvantages, however: they are cadmium-based, do not lead to stable photoluminescence in the long term, and they are difficult to build into the required matrix material. This project will deal with the development of an alternative: inorganic, indium phosphide-based quantum dots for converting to longer-wave light in LEDs. “Local efficiency and directivity mapping and manipulation (LEDMAP)”, Prof. Femius Koenderink, FOM Institute for Atomic and Molecular Physics (AMOLF), Amsterdam. The active materials in LEDs have become so efficient and stable that research is currently shifting to the development of nanostructures that allow control over the directional distribution, the spectrum and the brightness of LED light, and the white light produced after the conversion of blue LED light by phosphors. This project will address the simultaneous optimization of all of these factors using nanostructures. “A new ray-trace method for optical design”, Dr Jan ten Thije Boonkkamp, Mathematics Section, Mathematics and Computer Science Department, Eindhoven University of Technology. Ray-tracing is a common simulation technique in optical design. However, the technique is expensive and imprecise when simulating fine details. The objective of this project is to combine this technique with visualization of the phase space of the optical system. This makes it possible to split the phase space into a small number of ray sets. The new method will make the design of optical systems better, faster and cheaper. This will give rise to shorter development times for new prototypes of lamps and light sources that use LEDs. “Healthy fruits by localised LED lights on fruits”, Prof. Leo Marcelis, Horticultural Production Chains (HPC) Section, Plant Sciences Department, Wageningen University & Research Center. Recent research has shown that LED light on growing tomato fruits doubles their vitamin C content. The objective of this project is to understand exactly how that happens and to develop a practical lighting strategy for increasing the vitamin C content in fruits. “Dynamic LED lighting, thermal comfort, health, and energy savings in buildings”, Dr Wouter van Marken Lichtenbelt, Human Biology Section, Faculty of Health, Medicine and Life Sciences, Maastricht University. Experiencing a pleasant temperature does not depend on temperature alone. Light is also an important factor in this. LED lighting makes it possible to manipulate the color, intensity and dynamics of the light. This project will examine the interaction between light incidence, thermal comfort and the energy consumption of the human body. “Modulated LED lamps for improved light integration in algal culture (LEDitGrow)”, Dr Hans Matthijs, Aquatic Microbiology Section, Institute for Biodiversity and Ecosystem Dynamics (IBDE), University of Amsterdam. Algae are becoming more important as a future source of biomass and animal feed. The process of converting energy from sunlight by algae and plants is not particularly efficient: some 93-99% of the energy captured is lost. The electrons excited by light are only processed slowly in the reaction centers for photosynthesis. This project examines whether pulsed LED lighting can bring about improved processing of excited electrons and therefore increase photosynthesis efficiency. The ASLS program investigates new lighting solutions for i.e. food production. 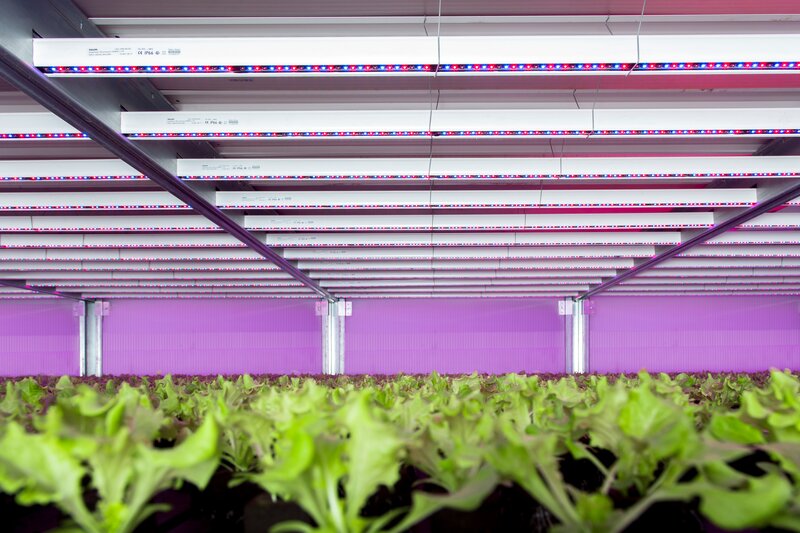 Philips already offers LED lighting solutions for horticulture. Efficient and sustainably produced LED lighting can potentially be used for energy savings in cities. Royal Philips Electronics (NYSE: PHG, AEX: PHIA) is a diversified health and well-being company, focused on improving people’s lives through meaningful innovation in the areas of Healthcare, Consumer Lifestyle and Lighting. Headquartered in the Netherlands, Philips posted 2012 sales of EUR 24.8 billion and employs approximately 118,000 employees with sales and services in more than 100 countries. The company is a leader in cardiac care, acute care and home healthcare, energy efficient lighting solutions and new lighting applications, as well as male shaving and grooming and oral healthcare. News from Philips is located at www.philips.com/newscenter..